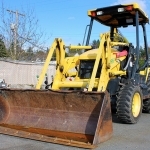 Do You Have the Personality of a Bulldozer? If you want a taste of ancient Egypt’s herbal medicine, nibble on some fenugreek seeds. Fenugreek has a rich medicinal history since ancient Egyptian days where it was used to embalm mummies. Since then, it’s had numerous medicinal uses, some which are still in use today. Fenugreek seeds can be used as both medicine and food. They have a characteristic maple syrup taste, which is why they are used to flavor imitation maple syrup. They are also a rich part of Indian cuisine, and happen to be found in my favorite Indian curry powder (Muchi curry powder). I use this curry powder in my Muchi Crock-Pot Chicken Curry as well as my Pumpkin Curry, in case you’re looking for a small way to amp up your fenugreek intake. Historically, fenugreek seeds were used to increase a lactating woman’s milk supply. They are still effectively used for this purpose today. 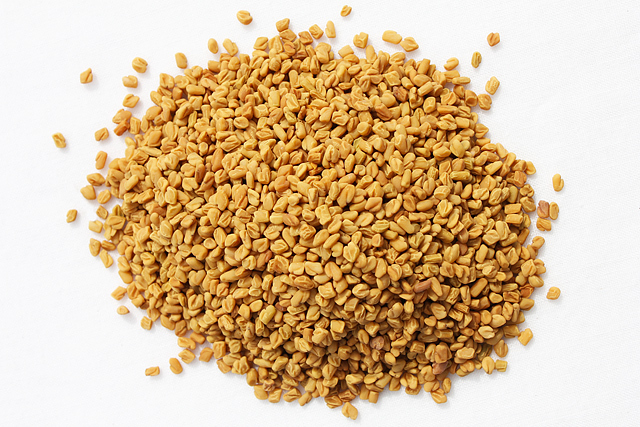 Fenugreek seeds are the go-to herb when it comes to addressing a low milk supply in a nursing mother. Just to point out — fenugreek is a decent source of phytoestrogens, and it is still a rock star breastfeeding herb. Fenugreek seeds have been shown to improve insulin sensitivity, making them an herbal hypoglycemic agent. Some research has shown them to stimulate insulin secretion, which makes them an unfavorable choice when it comes to insulin resistance or hyperinsulinemia. To have these effects, consumption of fenugreek needs to be high. Fenugreek has been shown to increase HDL (the good cholesterol), decrease triglycerides, and decrease total cholesterol levels. When used for this purpose, dosing needs to be heavy to have an effect (think in tens of grams). Like most herbs that are also used as a food, fenugreek is very safe. It can sometimes cause digestive upset. Regular consumption can result in a maple syrup body or urine odor. To minimize the maple syrup taste and odor, soak fenugreek seeds overnight. After soaking, rinse them with water multiple times. Grind fenugreek seeds in a coffee grinder, spice grinder, or your Vita-mix. Depending on your equipment, they may need to be dry prior to grinding. Store ground seeds in the freezer if you won’t use them right away. Sprinkle ground seeds on oatmeal or other breakfast cereals. Incorporate ground fenugreek into your homemade granola recipe, especially since it comes with it’s own maple flavor. Add fenugreek seeds to your favorite Indian dishes. Grind a large batch of fenugreek seeds and turn it into a flour. In some parts of the world, fenugreek flour is used to increase the protein, fat, and fiber content of wheat bread. If you would like to start taking fenugreek, please consult your naturopathic doctor. A licensed healthcare practitioner can tailor the dose according to your needs. Please note that this herb is not recommended in pregnancy. 1. Yarnell, Eric. Botanical Medicine V. Bastyr University. Spring 2011. 2. Kingsbury, Sheila. 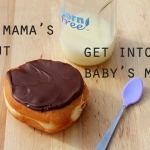 The Practitioner’s Guide to Lactation Management. Summer 2011.